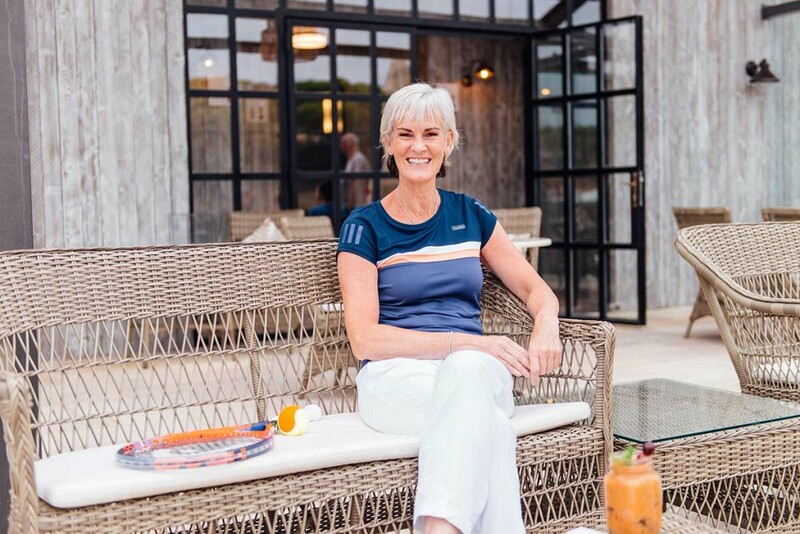 Judy Murray has signed up with The Campus, Quinta do Lago for a series of junior tennis camps that will continue throughout 2019. Having firmly established itself over the past 45 years as one of the finest luxury golf and residential developments in Europe, Quinta do Lago in Portugal’s Algarve has now become the premier holiday location for all sports enthusiasts. The Campus is where sports happen in Quinta do Lago. With elite training academies as well as social sports and amateur competitions, world class cycling and triathlon facilities, a brand new state-of-the-art high performance sports centre and some of the best tennis and padel courts in Europe, it has quickly established itself as a must-visit location for sports fans of all abilities. Now the Campus has A-list approval as Great Britain’s former Federations Cup captain, with the mother of Grand Slam champions Andy and Jamie Murray is bringing her unique coaching techniques to a mass audience. She sat down with Henman Communications to give us an idea of what aspiring champions of the future can expect on the course. Tell is about ethos behind your junior coaching camps at The Campus? It’s a five-day course for junior players and we have a number of ambitions for players who sign up with us. The primary aim aim to develop the skill that we need to play tennis because it is a complex sport with a lot of movement. Our sport is difficult compared to a lot of sports because you have a bat, a moving ball and a lot of ground to cover and an opponent who can put the ball in a variety of positions. All of that needs basic learning and we aim to provide that. What aspects of the game will you focus on? We will look at tennis specific movement. The movement to and from the ball because in tennis you have forward, backward and side to side movement and often we can have that all in one point. In addition, we will look at how to compete and a match situation and that has a winning and losing element to it. How to compete, with a recreational competition as part of the programme. It’s all about helping to improve at whatever level you are at and whatever level they can aspire to get to. 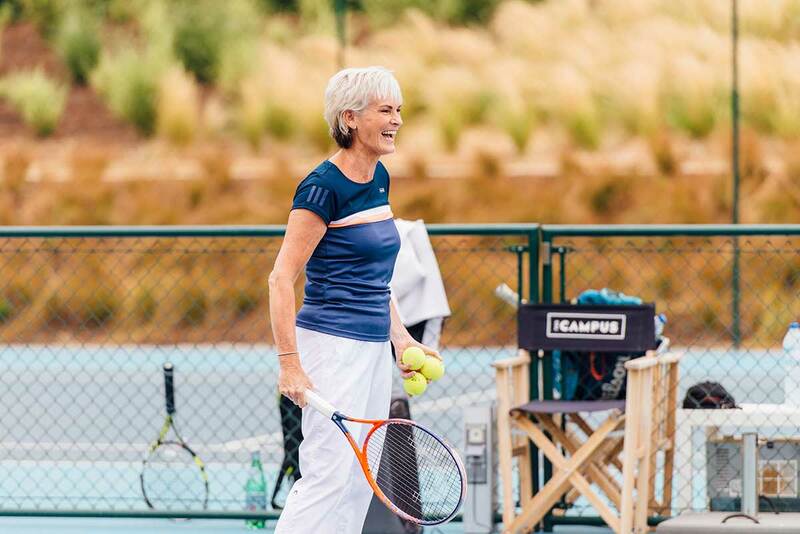 The underlying aim of everything we do is to have fun, to enjoy playing tennis. We have set out four targets for the camp. So do you feel the fun is lacking in some coaching sessions? It can seem a little intimidating if you are looking to get into the game. When you see at a one-on-one lesson…a coach with a basket of balls, it looks a little daunting to get out there and have a go. It may feel like everyone is looking at me from the sidelines and I would not want that pressure if I was trying a sport for the first time. We have to work harder to sell our sport in a world where there are a variety of factor pulling people of all ages away from tennis. My hope is that anyone watching one of my sessions would think they could do it and might fancy getting involved. Your own children are a wonderful advert for your own coaching talents, so what are the secrets? I’m a huge believer that we can help develop the skills when kids are at a young age because if you develop then and build confidence through success on the court, kids will maintain their enthusiasm and come back for more. We are always trying to come up with games and exercises that will maintain that enthusiasm and as I have been coaching for 30 years now, I have zillions of games to throw into the mix and huge bags of kit that are essentially toys. The key for any junior tennis coach is to keep the kids engaged in the coaching lesson because we want them to stay in our sport. That means the challenges we set them need to be doable and challenging in equal measure and hopefully we find that balance. How can you tell when a junior player is good enough to start considering a career in the game? You don’t know when they are young if they can take it to another level. Having a talent is one thing, but you need someone to spot that talent, nurture it and see if they can take it to another level. Then it is all about hard work. How important is having the right attitude and mentality to make it in the game? You need someone at 15 or 16 who is ready to take something that is largely a hobby and do it every day, with real commitment. Not everyone wants to do that. It’s bringing the right attitude to the court, enjoying the pain and this is what my son Andy has done down the years. You need relish the heat, the tough conditions and not everyone can deal with it. You are on the road for 35 weeks of the year if you make it on the tennis tour, away from your friends and family and it is so difficult on a number of levels. You have got to love the game, love the torture of the competition if you are going to make it. What do we need to do to encourage more participation in tennis? Finding a way to make it cheap and doable for everyone has to be the key for tennis as there has always been a feeling that it is a sport for the elite. Getting larger numbers onto a tennis court makes is more affordable for all. If you have 18 people in a lesson, it reduces the cost per person and that offers the scope to bring more people into the sport. One-on-one lessons will always be expensive, especially if you are adding court hire on top of costs. If you come from countries like Scotland or Ireland, where the weather is often an issues, you can pay up to £20-per-hour just to hire a court and that is before getting a coach in for a lesson. Those costs quickly become prohibitive for a lot of people. That is why I always embrace doing lessons with big numbers. It makes it affordable and can be very enjoyable when a large group get together and share an experience. We thought there would be a surge in popularity for tennis when your son Andy won Wimbledon in 2013, but that didn’t happen. What can we do to encourage more people to play? There is a need to show people how to get other started in tennis. Other club members can bring their friends along, parents can encourage friends of their children to come along because I did not learn the game from a coach. I learned from other people at the club I went to and everything that has happened since then spawned from that. 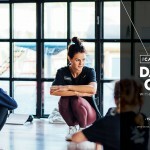 I know this is doable if you show people what to do and I am passionate about sharing that philosophy and ensuring that coaching is enjoyable, sociable and something people will want to give up some of their time to take part in. 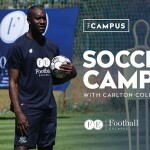 The role model and the champions drive the excitement and provide inspiration, but you need people at grass roots levels to inspire participation. If a sport is too expensive or looks to be too difficult to get involved, people will do something else and we will continue to work with a small pool playing tennis. What are you doing to promote the game aside from your work at The Campus? Myself and my fellow coach Kris Soutar have a van that we take around Scotland and it’s called tennis on the road. We take the van into deprived rural areas and teach people how to play tennis in whatever space they have available and it is has proved to be an incredibly rewarding programme. My Foundation will help with this and the idea is to identify a number of project areas each each, deprived or rural, and we will develop a workforce of coaches in that area that means when we move on to the next area, we have left it in very good hands. We have three projects that will get going in January and I’m so motivated to give something back to a game that has given so much to me and my family. 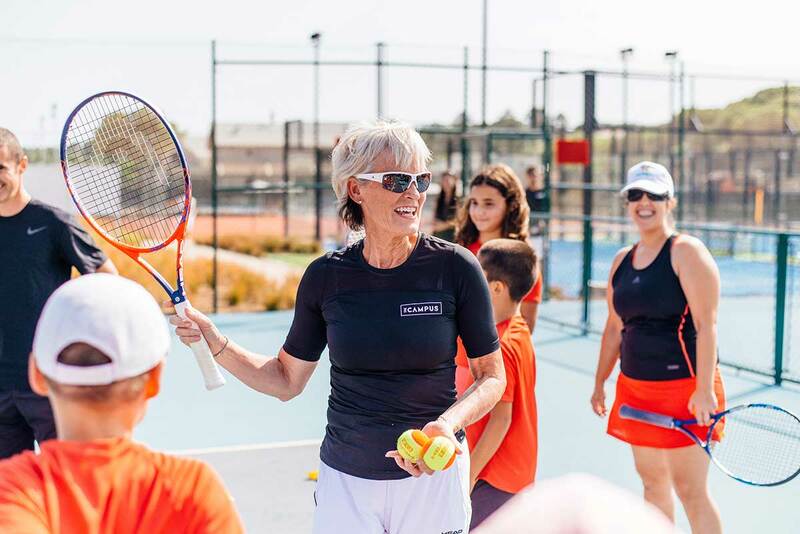 Judy Murray will be hosting junior and adult tennis camps at The Campus, Quinta do Lago in Portugal’s Algarve throughout 2019. 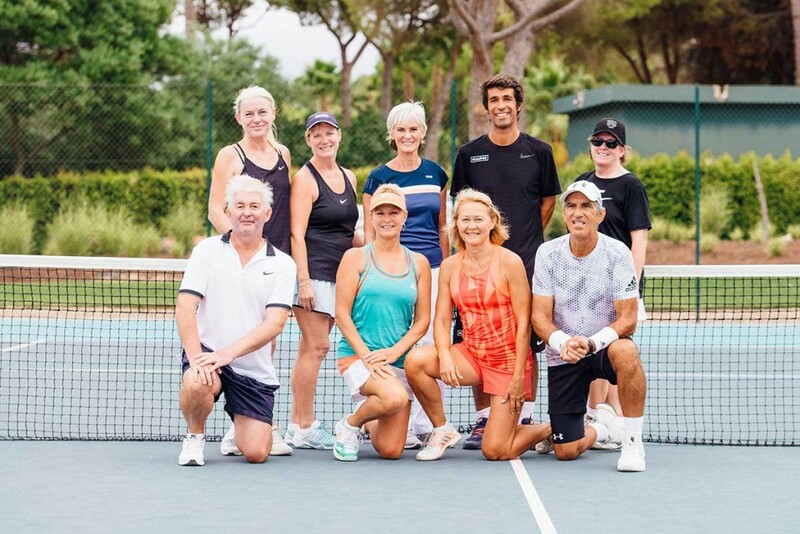 For more information on the sports and leisure activities available at The Campus please call +351 289 381 220 or email the-campus@quintadolago.com or see quintadolago.com/en/the-campus for more information.